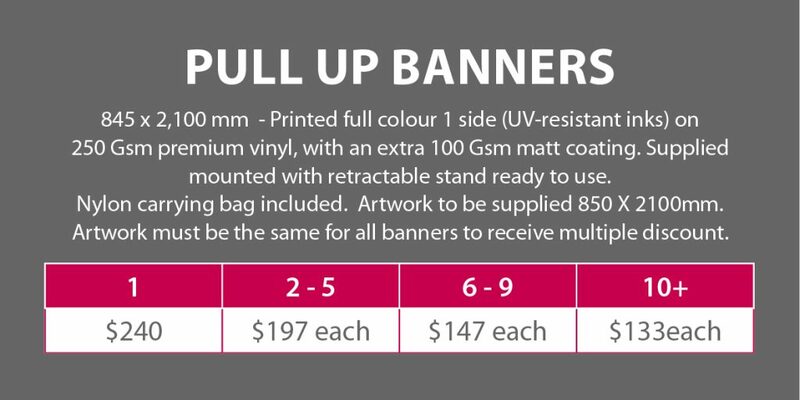 Pull-Up Banners are a staple promotional tool for your business or event. Pull up banners, also known as retractable banners, are favoured for exhibition, event, and retail display purposes. They’re setup in moments to provide large eye-catching displays and the flexibility to easily move the display.